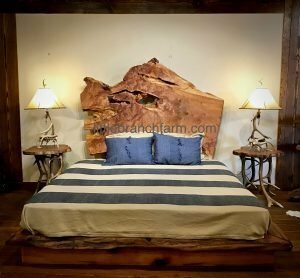 Live edge wood bed available in King and Queen. 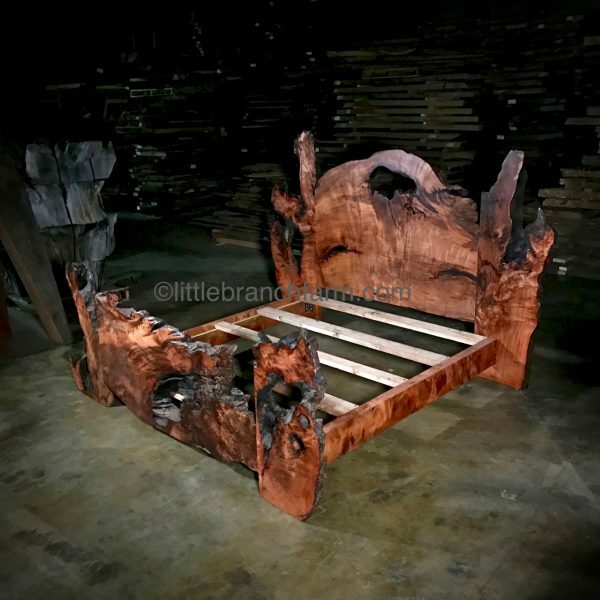 The live edge rustic bed is made from old growth redwood burl wood slabs. 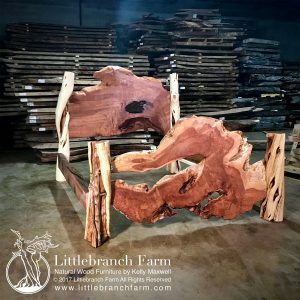 The wood slabs are cut from salvaged old growth redwood roots. 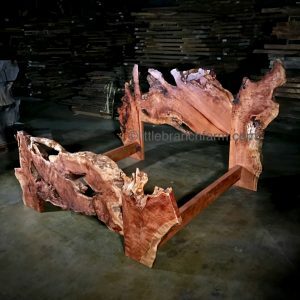 Thus giving us unique live edge wood slabs to craft our rustic furniture. 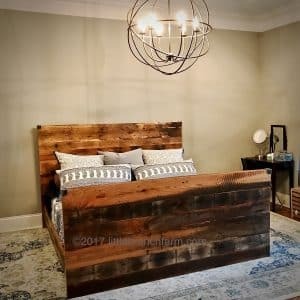 Also, this style of wood bed is reminiscent of a traditional bed frame with a headboard and footboard. Although unlike the traditional wood bed it is unable to replicate as no two natural wood slabs are the same. 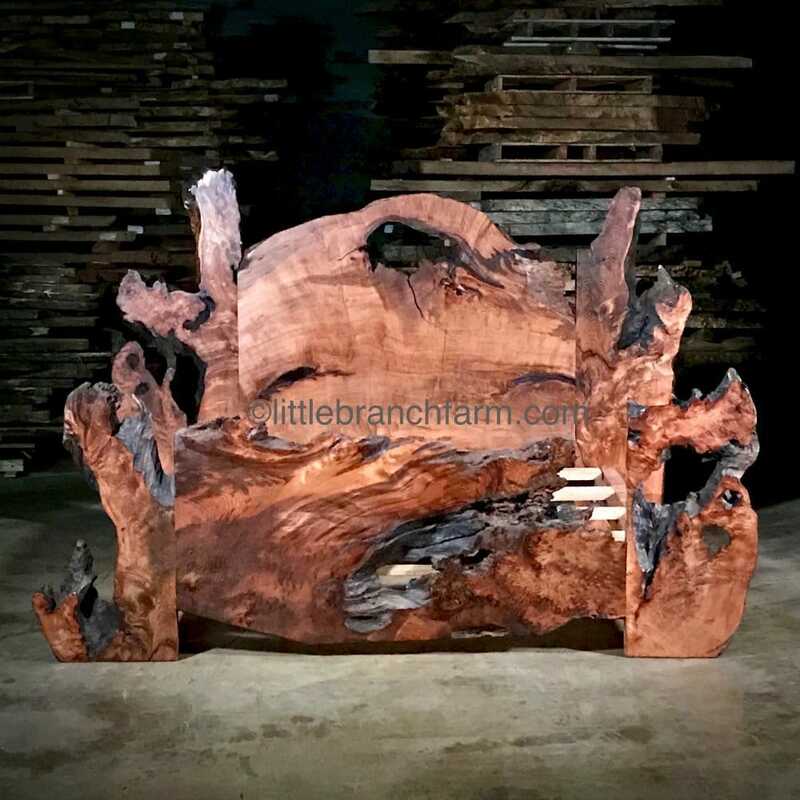 Like our natural wood furniture, each piece is one of a kind made from natural wood. 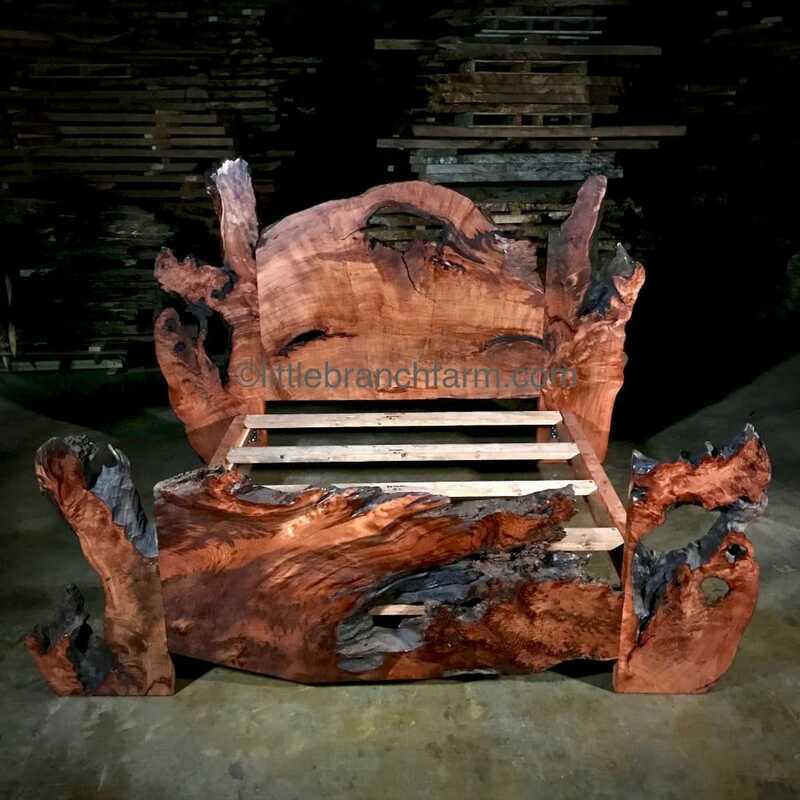 We look forward to design and build our rustic style natural wood furniture.